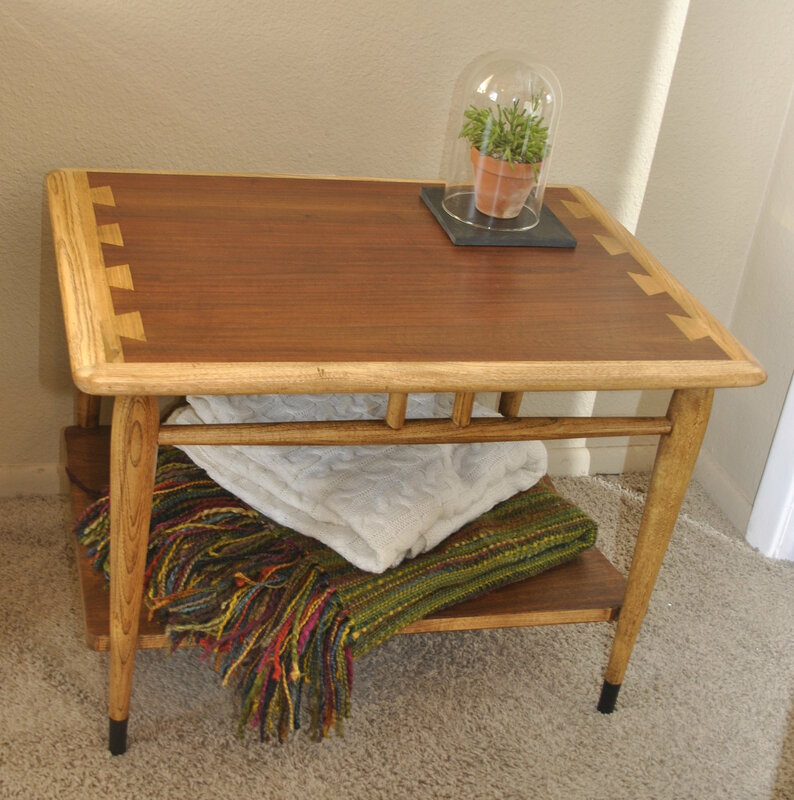 This Lane Acclaim mid century modern, two tier end table features a dovetail effect of walnut and oak. The natural finish highlights the diverse and rich woods. This iconic design looks stunning while serving as a highly functional table.